Company description: Kozi Media Design is a solutions firm whose objective is making our clients audio, video, and integration visions into reality. Each project is not the same, each budget is not equal, but our dedication to the client's satisfaction is always our goal no matter the size. It is our ability to do commercial and residential projects of different budgets & sizes that awards us the ability to create the right solution for most every project. Our professional audio, visual, and system automation team approach each solution with the vision for simplistic use, solid engineering, quality product, and architectural aesthetics of the room. We pride ourselves on client satisfaction. Mission statement: Kozi Media Design is care, relationships, transparency, quality, and details. We accomplish this by not only listening, but hearing our client’s vision. Simply stated, our belief is “intelligence in professional integration”. Vision statement: “Customer Service” is NOT what drives Kozi Media Design. Client Dedication is our driving force. DEDICATION is the care, concern, quality, and precise execution of our PRODUCT. Our PRODUCT makes technology simple so that our clients see the dedication in our RELATIONSHIPS. Simply Automated is an Authorized Platinum Level Control4 Dealer holding both Tech 1 & 2 Certifications! We are also certified through Control4 to install Panelized Lighting Systems! We are experts in designing, engineering and installing some of the most cutting edge and sophisticated systems in the area. We specialize in residential and light commercial automation of Lights, HVAC, Audio, Video, Motorized Window Treatments, Custom Cinemas and Conference Rooms Systems. Whether you have a residential or commercial project, big or small, our team is ready to work with you! Northern Audio designs and installs high- performance Home Theatre, Two Channel Audio and Whole House Audio Systems using electronics from some of today’s most respected manufacturers. Customer Satisfaction is our first priority. 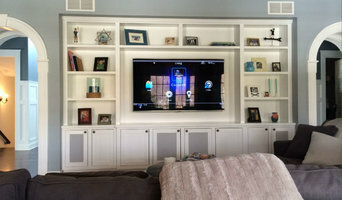 We will come to your home to professionally design and install a system that will suite your needs and your budget, and be very functional and easy to use with one single remote so the whole family can enjoy it. Our clientele includes discerning home owners from all walks of life, in all neighborhoods of the greater Pittsburgh area, who want the very most in home entertainment and home automation. Each of our efficiently designed and built installations ensures that your system is designed on time and on budget. At Northern Audio, we are your technology integrators. Serving residential and commercial customers in the Butler county PA area, Budget AV & IT Solutions is the leading provider of technological solutions with the goal of enriching people's lives, without breaking the bank. 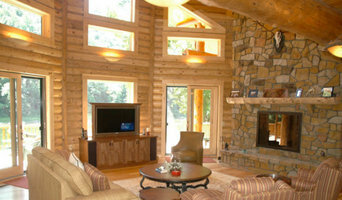 Our services include TV mounting & setup, house audio, smart technology, networking/Wi-Fi, and more! Listen Hear Home Entertainment & Automation specializes in the design and installation of home automation systems, high-performance multi-room audio & video systems, home lighting and theaters. 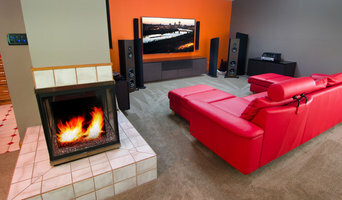 With over 30 year experience in technology and home audio & video systems Listen Hear Home Entertainment & Automation is uniquely qualified to integrate sophisticated electronics into your home and business environments. While there are many smart products available today, it isn’t until these devices work together in orchestration, that you experience the magic of a smart home. From homes small to large, new and old, Listen Hear can design and install the right solution for you - based on your lifestyle. into complete, brilliant experiences With one touch, dim the lights, stream high-resolution music, turn up the heat, lock the doors and arm the security system. It’s a smarter living experience that you’ll wonder how you ever lived without. There's no place like home. That's why you want to keep your family safe, comfortable, and entertained. With an integrated system from Intertech Ci, you can protect your family and property from fire and intruders, maintain comfort while saving energy, connect all your devices on an optimal network, and relax in a home theater. We will work with you to design, install, monitor, and maintain a sophisticated yet simple-to-use system that is just right for your life at home.